In this project, the brightness of an LED (Light Emitting Diode) is controlled by the PIC16F18855 microcontroller using the Xpress development board platform. 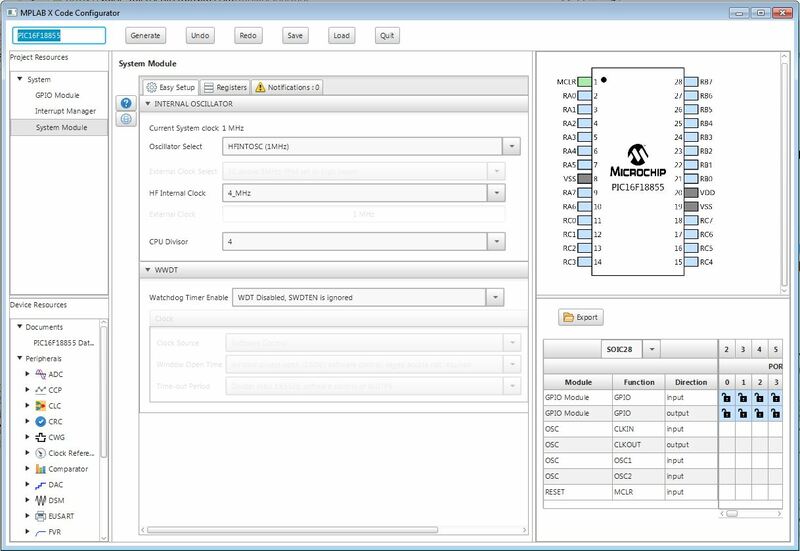 Open the MPLAB® Code Configurator under the Tools > Embedded menu of MPLAB Xpress. A java installation file will automatically download, named standalone.jnlp. Open this file. Once completed, the Code Configurator window will automatically open. Note: Follow the instructions for Opening MCC in Xpress if this is your first project . The first window that opens automatically is the system module. The system module is where core device operational parameters are setups such as oscillator and configuration bits selection. Select the settings shown in the picture. To see the full schematic and details on this board visit here. Therefore we need an ADC, a PWM (to send the brightness signal to the LED), and a TMR (to run the PWM). Double click on these peripherals in the resources area to add them to your project. Connect the ADC to the potentiometer (Pin RA4), as well as the PWM to the LEDs (RA0, RA1) in the MCC Pin Configurator by clicking on the locks show in the picture to change them from blue to green. 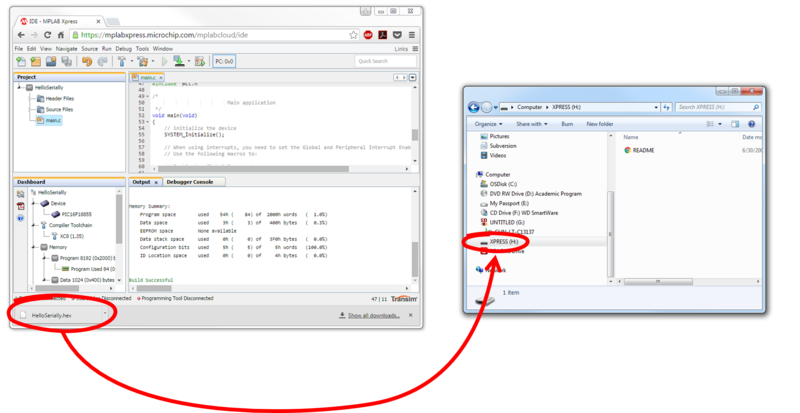 Create the .hex file by clicking the Make and Program Device icon. 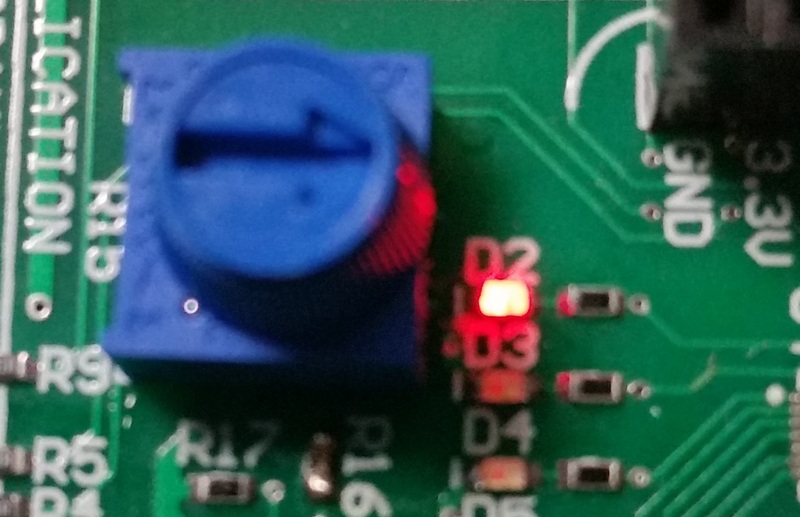 The Programmer LED on the Xpress board will quickly flash from green to red and then back to green indicating that the .hex file was successfully programmed to the PIC16F18855. This simple project shows how to use the Xpress board to use a few of the more common peripherals to control a digital output with an analog input. This can be expanded in many ways.